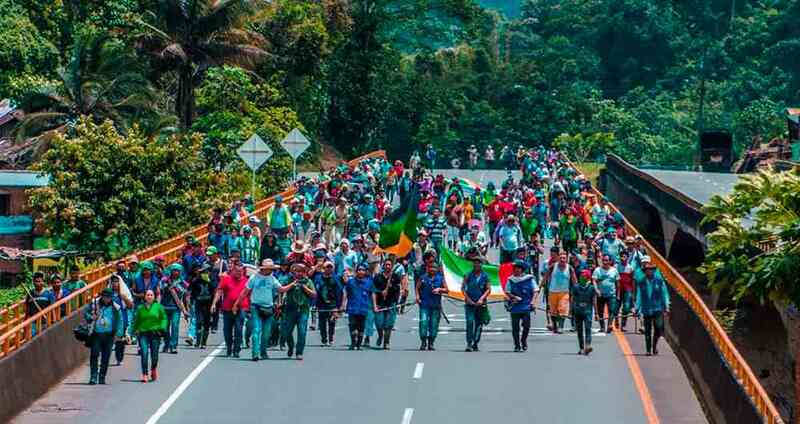 CALL ON COLOMBIAN PRESIDENT IVAN DUQUE TO CEASE MILITARY ACTIONS AGAINST INDIGENOUS PROTESTORS IN THE CAUCA REGION. March 28, 2019. 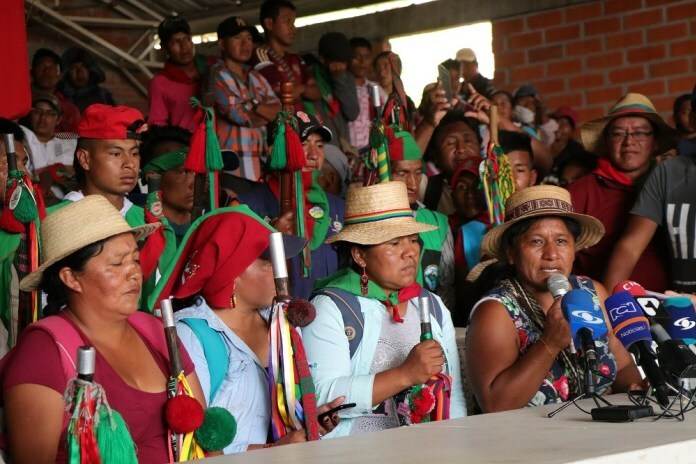 Since March 10, thousands of indigenous people in Southwestern Colombia have mobilized in a Minga (community social mobilization) for “Life, Defense of the Territories and Peace.” The communities involved are demanding that President Ivan Duque make good on previous commitments around human rights, development, and the reigning-in of violence against community activists in the region. To date, the government response has been massive and ongoing repression of the Minga by the army and police. CoDevelopment’s partner in Colombia – NOMADESC (Association for Research and Social Action) is appealing to supporters to urge President Ivan Duque Marquez to stop military-style actions against the Minga, and comply with human rights standards that the Colombian State has committed to uphold in international treaties. NOMADESC and other human rights observers say both the Colombian army and specialized police have used the following tactics against communities involved in the protests: Overflights of drones and helicopters, stun grenades and tear gas bombs; shootings with live ammunition, as well as burning the camps of the Minga participants. The militarization of the territories where the Minga is taking place violates international human rights agreements of which the Colombian State is a signatory. We encourage CoDev’s Canadian partners, members and supporters to take action on these events in Colombia. 1. To stop employing military action as a response to community social demands. 2. To make public the government’s human rights policy regarding Afro and Indigenous communities’ rights in accordance with the current human rights crisis. 3. To investigate and identify those government officials responsible for the abuse of force against community members in the repression of the Minga. You can also let NOMADESC and Minga participants know they are not alone by sending messages and photos of solidarity with the MINGA and human rights defenders. Thank you for signing up to receive urgent action notifications. It is with the support of dedicated people like you that we are able to respond quickly when threats are issued against the Latin American communities with whom we work. This is solidarity in action and you are an integral part of it. Friend on Facebook Follow on Twitter Forward to a Friend follow on Twitter | friend on Facebook | forward to a friend Copyright © 2019 CoDevelopment Canada, All rights reserved.